Call our original small SUV comparison test the elimination round. Earlier this year when we tested this new breed of fully loaded, sub-$30,000 sub-compact ‘softroaders’, the competition was fresh but clearly green (read the full comparison here). Six months on, and the class has shifted up several gears. The Peugeot 2008 returns as the reigning champion, but so too does the Holden Trax that landed in second. That’s because it has just been given a shot in the arm in the form of a new 1.4-litre turbocharged petrol engine that addresses the car’s biggest flaw, the anaemic 1.8-litre non-turbo engine (which remains in cheaper grades). The catalyst for the test, though, is the Nissan Qashqai, which replaces the popular Dualis that kicked off the bit-bigger-than-a-hatch concept. The UK-born Cash-kigh has grown up in its latest iteration and its release coincided with the addition of a new middle grade of the new Slovakian-made Kia Sportage. A facelift for the neighbourly Czech-built Skoda Yeti rounds out our Five for Finals Round of small SUV testing. All models here are front-wheel drive, with petrol engines and automatic transmissions, priced at less than $30,000. What they offer for that ask is more equipment for the money and greater parking prowess than a base model of the size-larger Mazda CX-5 or Toyota RAV4. 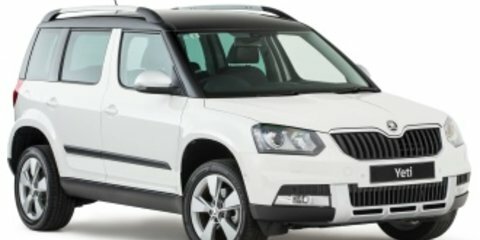 At $28,290 plus on-road costs, the Skoda Yeti 90TSI DSG starts off as the most affordable model here, though an optional ($2900) Tech pack makes it the most expensive as-tested. Lots of goodies are included, though, such as bi-xenon headlights, semi-automatic parking function, and touchscreen satellite navigation with 12-speaker sound system. For only $200 more, the $28,490 Nissan Qashqai ST automatic presents as the group’s only base model, however it is equipped more like a middle-tier grade. Which leaves three remaining contenders all pegged at $29,990 – the Holden Trax LTZ, Kia Sportage Si Premium and Peugeot 2008 Allure, though the latter gets optional ($2000) leather trim with seat heating as-tested. Leather-look trim (though it does a surprisingly flattering imitation job) with heating is standard on Trax LTZ – every other model here gets cloth trim, while the Kia gets leather only for its side bolsters. The Holden and Nissan are the only two to get standard apps connectivity, however, in addition to the Bluetooth phone and audio streaming standard on every model here. The 2008 Allure strikes back as the only model here with standard sat-nav and a panoramic fixed glass roof, though the Trax LTZ trumps it again with a smaller, but electric-opening sunroof. The Peugeot and Skoda get dual-zone climate control included in their base price, compared with regular air-conditioning in the others. Common exterior equipment across all five include alloy wheels (in size: 18-inch Holden, 16-inch Peugeot, 17-inch for the others), while all except the Nissan score front foglights. The Qashqai only gets a reverse-view camera, too, where the others also add hugely helpful rear parking sensors. The Yeti exclusively adds front parking sensors as well. Cruise control, six airbags (including front, front-side and full-length curtain) and stability control are also included on all five contenders, but yet again only the Yeti goes a step further at the front, by cushioning the driver’s knee. Little niceties such as a leather-wrapped steering wheel are featured on all, and every model except the Qashqai gets automatic on/off headlights and wipers as well, helping these babies feel a cut-above the similarly priced entry CX-5 and RAV4 crew. The 2008 and Sportage even feature an auto-dipping reverse-view mirror. It’s an early lead for the Peugeot and Holden on the value front, then, with the Nissan trailing the Skoda and Kia. Colour touchscreens in all but the Sportage and Qashqai further lift the perception that you’re above a boggo model. The Nissan gets a 5.0-inch colour display, which looks a lot better than the red dotmatrix-style unit in the Kia. They swap places for ease of use, however, with the Qashqai’s voice-activated Bluetooth first being tricky to pair with then taking an age to remember your phone and connect to it. The Sportage may be basic, but it’s a breeze to sync up. Above: Nissan Qashqai (top) and Kia Sportage (below). A similar story unfolds with the others. The Holden MyLink infotainment system accessed via a high-resolution 7.0-inch touchscreen is the easiest to use. The Trax can also utilise your smartphone’s internet to access online music streaming apps such as Pandora and Stitcher, and even an external nav app called BrinGo (though you pay extra in both data usage and long-term sign-up costs, unlike the integrated 2008 and optional Yeti nav). Above: Holden Trax (top) and Peugeot 2008 (bottom). The Qashqai is the only other model that can use Pandora, though it isn’t available for use with an iPhone. The Peugeot’s screen measures the same diameter as the Holden’s, but it is more fiddly to use. Both are as quick as each other to detect and link up to a smartphone via Bluetooth. The Skoda, meanwhile, only gets a 5.0-inch colour touchscreen as standard, with the Tech pack stretches that out to 8.0 inches. While the nav and audio system works with greater ease than the 2008, the Yeti needs its own Skoda-specific USB/iPhone cable where the others simply plug-and-play with any. Connectivity is also hampered by the installation of the larger screen, which is flanked by a ‘phone’ button that does nothing to help connect your phone; rather you must access another sub-menu in the monochromatic trip computer display between the speedometer and tachometer also labelled ‘phone’. Voice control systems also vary, and while the Kia and Peugeot don’t have such a system at all, the Holden does and it works well (including with Siri on iPhone) where the Nissan and Skoda can be patchy understanding commands. Above: Nissan Qashqai (top) and Kia Sportage (bottom). The Qashqai may be on the back foot in terms of equipment, but its interior finish is first in class and its plastics appear the most premium. At the other end of the spectrum there’s the Trax. Fit is actually the best we’ve tested in a Korean-built Holden, but the plastics are scratchy and the storage bin lids flimsy. The Yeti comes close to feeling like a premium offering, although it is cheaper in places than the Qashqai, such as the hard door trims. The Sportage cabin, while familiar, has gained a huge lift in quality of materials since the switch in production from South Korea to Slovakia. Other than the lack of colour – or rather over-use of red – for the graphics, the Sportage joins the Qashqai in feeling the most substantial SUV here. The Peugeot is the most funky inside, with a splash of colour and cool textures. That little steering wheel is a gem, too, and doesn’t block the high-set dials in the same way it does for some drivers in the smaller 208 hatchback. 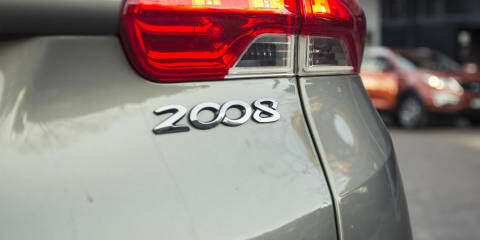 The 2008 looks like the 208 inside, too but it doesn’t suffer for it in the same way as the Barina-based Trax does. The Peugeot dips out in the detail, though, as it only gets two shallow cupholders perched awkwardly beneath the climate controls. The Holden, by contrast, gets four cupholders in the centre console, and another two in the fold-down centre armrest. Neither gets bottle holders, where the Nissan, Skoda and Kia put one in each door in addition to twin centre cupholders. The Yeti and Sportage share the beverage holder award by further adding two in the fold-down rear armrest. Unlike the Trax and 2008, the others also get proper centre console storage boxes, the Qashqai’s being notably huge. For the campers out there, all provide twin 12-volt outlets – each in the centre console and the boot, except for the Peugeot which positions its second connection at the end of the transmission tunnel facing rear passengers. The Holden goes a step further by offering a 230-volt powerpoint perfect for charging your laptop or other device. You sit lowest in the 2008, reflecting its mini-wagon look, so buyers seeking a commanding driving position will need to look elsewhere. It has snug but comfy seats, where even the Trax and Yeti that are dimensionally similar on the outside have broader and more supportive seats that are positioned higher. The other two are more sizeable again – though the Sportage’s base is flat, the Qashqai’s the comfiest here. Yet the 2008 is arguably the best-packaged SUV of the group, squeezing an amazing level of space into an overall length of 4.16 metres – a full 30cm ruler’s length less than a Mazda 3 hatchback. The rear seats are perched higher than those up front to create good visibility, and while there isn’t class-leading leg space, there is plenty of room to drop your legs down and splay them out wide. The Peugeot has the lowest loading lip of all the SUV models here, and the tailgate opens to a highly usable 410-litre capacity – again, more than any other hatchback. A narrow body means you can only just squeeze our two luggage containers side by side with the 60:40 split rear backrest folded, though at least it drops to create a flat load space. The Yeti is also a shorty, stretching 4.22 metres long or 6cm further than 2008, which affords a bit more legroom and lots of extra headroom. The Skoda’s brilliant ‘VarioFlex’ rear seats are split into three individual buckets that recline, and slide forwards and backwards to increase boot space or decrease legroom (if you have a baby capsule, for example). Another advantage is standard rear-seat air vents, the Yeti being the only SUV here to get them. It’s also the only SUV here to have a middle seat that folds, and in doing so creates a load-through area (perfect for threading through skis) while keeping the outboard seats in use, and a padded armrest and cupholders for those riders – so the Yeti is great in the snow, as it should be! There are tie-down hooks, a luggage net and even a removeable torch provided in the boot, and you can also take each seat completely out of the car to turn the Yeti into a mini delivery van. With all pews in place it has the least cargo capacity here – 316 litres – but with seats removed it extends to a massive 1665L, or about double what the Trax can hold with its rear backrest flopped over. The Holden pushes the measuring tape further again by 5.5cm, with its body sizing up at 4.28m. Preference is given to rear passengers rather than boot volume, with the back seat test revealing medium sedan levels of stretch-out space, although a high-set bench means headroom is restricted and the Trax doesn’t feel as airy as the Yeti and 2008. There’s little excuse for the boot’s high loading lip when there is no rear driveshaft in the Trax and a full-size spare wheel is optional, while the 356L boot capacity is less than you’d find in a Volkswagen Golf hatch (380L). Flipping the rear bench against the front seats and dropping the backrest creates a flat loading area, but still only 785L capacity. Even the tiny Pug offers 1400L. 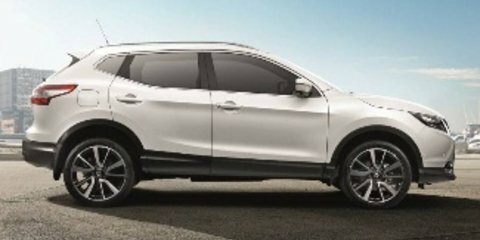 Straddling the line between small and medium are the 4.38m Qashqai and 4.44m Sportage. The Nissan is bland and feature-less behind its front occupants, with hard door trims and a lack of front seat map pockets, while the cushion isn’t as comfy as those up front. There’s good space, but perhaps not as much extra as you’d expect given that its body is 10cm longer than Trax. Further behind, the 430L boot is the second largest here though Nissan doesn’t quote a figure with the backrest folded. There’s nothing especially clever about the boot in the ST, which lacks the multi-plate split floor of the TS, Ti and TL grades, though you do notice greater width compared with the smaller contenders. With the rear backrest folded, there’s almost a flat floor and plenty of space. If you need to seat three across, though, look to the Sportage. It has no transmission tunnel affecting middle legroom and a broad and comfortable bench. A high window line with shallow glasshouse does affect visibility, however. The Kia shares with the Holden the highest loading lip here. While the quoted 564L boot appears the biggest, it’s a shallow but long space. The rear backrest also folds awkwardly down over the back bench on a steep angle, creating a less usable load area than even the baby Peugeot. In this respect, the big Kia has the least impressive packaging. Those exterior length differences are largely reflected in the kerb weights of these SUV models. The Peugeot 2008 weighs just 1113kg, or to keep the hatch comparison going a full 187kg less than an equivalent Mazda 3 Touring (dimensionally larger, but smaller inside, remember). It feels light on its feet, but also immature in terms of its refinement. Thanks to the low kerb weight, it only needs a 1.6-litre four-cylinder engine (with 88kW of power at 6000rpm and 160Nm of torque at 4250rpm) to feel as fast as a 2.0-litre Sportage, which is the heaviest car here. Above: Peugeot 2008 1.6-litre four-cylinder. While the standard five-speed manual transmission makes the Peugeot one of the sweetest little runabouts around, saddling this SUV with a four-speed automatic affects its driveability. On the open road it’s surprisingly fine in Sport mode, slipping between fourth, third and second intuitively under brakes or full throttle. But around town the lurching and vibration as it shifts between first and second gear and back is painful. Still, proving that lightness is everything, the 2008 scored a first place for economy, posting 7.9 litres per 100 kilometres during a mix of urban, country and freeway driving. Above: Holden Trax 1.4-litre turbocharged four-cylinder. It’s a sizeable jump in kerb weight to the 1370kg Holden. Finally, the Trax has an engine to move its tubby body, and the new 1.4-litre turbocharged four-cylinder scores. The star attraction is 200Nm produced at just 1850rpm, which along with having an adept automatic with six gears to play with, results in smooth and effortless motoring. When you do want to tap into the 103kW given at 4900rpm, the engine badged Intelligent Turbo Induction (iTi) remains refined and willing. Because the Trax weighs less than the Cruze hatchback with which it shares its engine, it feels faster and is indeed the quickest contender of this lot. Unfortunately, it also continues the trend of GM engines drinking more fuel than competitors on our tests – its 10.3L/100km was the thirstiest here. Above: Nissan Qashqai 2.0-litre four-cylinder. The Nissan tips the scales to 1408kg, and does so armed only with a 2.0-litre non-turbo four-cylinder engine. It needs 4400rpm showing on the tachometer to make the same torque as the Trax, and 6000rpm to make 106kW. The Qashqai never feels fast, but nor does it seem strained. The automatic continuously variable transmission (CVT) deserves the limelight, raising and lowering revs seamlessly before the driver even needs to use more throttle. Foot flat, and there’s ‘stepped’ gear changes that mimic a regular auto rather than holding revs constantly at a single point high in the tachometer. It placed mid-field with its 9.3L/100km economy, which is about where it lands for performance, too. Above: Skoda Yeti 1.4-litre turbocharged four-cylinder. In the Skoda, you switch back to a turbo of the same capacity as the Trax, and funnily enough one that makes the same torque as well. The Yeti delivers its maximum between 1500rpm and 4000rpm, with its peak 90kW coming online at 5000rpm. Along with a 1445kg kerb weight, the Skoda doesn’t feel as peppy as the Holden, though its six-speed dual-clutch ‘Direct Shift Gearbox’ possibly helped with its second-place 8.8L/100km economy. The DSG is terrifically quick-shifting on the move, and it has a fine Sport mode that the Holden torque converter auto lacks. However, it is also lurchy around town (more on this in the parking section below). Above: Kia Sportage 2.0-litre four-cylinder. That leaves the portly 1508kg Sportage Si Premium, which has the same size engine as the Qashqai and likewise lacks a turbo. It produces 122kW at 6200rpm and 205Nm at 4000rpm, in both cases the most here, and it is sweet but more intrusive than the Nissan’s. While its six-speed automatic is a good one, it also fails to cover up the engine’s torque hole quite like the Qashqai’s CVT can. Still, it is a fluent engine/auto partnership, responsive rather than fast, even though its 9.9L/100km economy challenged the Holden for last place. After the underwhelming previous round of small SUV testing, it’s astonishing to find all five models here inject the Sport into the acronym to varying degrees, feeling more like large hatchbacks than top-heavy SUVs. Even the least dynamic contender, the Kia Sportage, has meaty and direct steering and impressive smooth-road chassis balance. At normal driving on a country road it is the only one to fall out of its depth, however, sending shudders through the steering wheel as its chassis thumps rather than quashes imperfections. The Holden and Skoda vie for sharpest tool in the shed. Both wearing grippy footwear – Continental ContiSport and Dunlop SP SportMaxx respectively – they cling on and resist bodyroll during spirited driving. The Trax has the lighter and more immediately reactive steering off the centre position, where the Yeti’s is meatier and needs more lock to turn into the same 90-degree urban street, for example. The Peugeot, meanwhile, isn’t sharp, but rather it’s soft and playful, arguably the most fun of the lot. It turns into a bend so quickly, with sharp reactions from its little steering wheel making it feel go-kart-like. For the driver graduating from a small hatchback to something bigger, the 2008 always leaves you with a big smile on your dial without even trying. The Nissan comes in somewhere in between. It has the steering consistency of the Trax and Yeti, but with extra compliance and comfort thrown in. It, too, has excellent handling, with plenty of grip from its Continentals, a flat and planted disposition, and all things considered a level of comfort and control that is the sweetest here. The Nissan then trumps home another win around town, although not as decisively as first thought. At low speeds around town it has a bump-blotting ride that only occasionally gets the jiggles or thumps over sharp-edged imperfections at low speeds. It can provide a little too much vertical movement that wasn’t in evidence in the Qashqai Ti riding on low-profile 19s previously tested, but on the whole the ST remains very comfortable. Both the Yeti and Trax ride very firmly over urban roads, but rather than delivering a harsh ride they instead feel disciplined – although perhaps a few degrees too much so for the average buyer. Experience with lower-spec models of both on smaller wheel and tyre packages revealed a slightly smoother ride. Where they separate is road noise. The Holden may be relatively heavy, but it’s quiet and refined, even on coarse-chip roads. The Skoda is perhaps a little more hushed in terms of engine noise, but it sends more wind and road noise into the cabin. The Nissan is second-quietest, pushing the noisy Kia down with the Peugeot (no wonder the 2008 is so light when it can be so raucous). The Sportage is down in the ride rankings as well. In isolation its suspension is fine, but it takes the Holden’s and Skoda’s firmness to a new level, then adds some floatiness with its rebound damping over speed humps. A bit too soft, and occasionally a bit too firm, marks the suspension of the Peugeot 2008 right in the hands of the driver more than passengers. The way this baby SUV boogies on a country road may entertain the person behind the steering wheel, but too much vertical movement or intrusion depending on the bump around town can make passengers queezy. The 2008 is the easiest SUV here to park. On test it squeezed into a spot the others physically couldn’t, and its good visibility and lovely light steering makes it a cinch to manouevre around – important if you live in a parking-deprived city. By contrast, parking revealed the Yeti’s biggest flaw. Its gearbox has a hill holder in ‘D’ but not for ‘R’, so on hills the take-up of its DSG gearbox is so abrupt more than one tester almost rammed the car in front when parking. High beltlines affect the parking ease of the Sportage and particularly the Qashqai, which lacks rear sensors and has steering that can suddenly feel heavier when making a quick rotation of the wheel (though its steering is tight at speed). 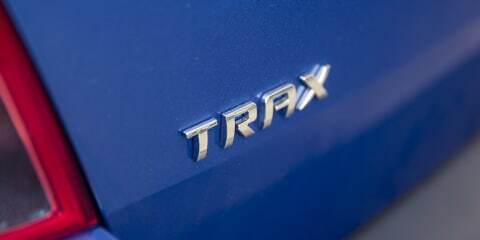 Conversely the Trax’s small size and big reverse-view camera earned it a second place for handling the urban jungle. Those turbo engines need premium unleaded where the others accept the regular stuff. Based on our consumption results, the 15,000km Australians average each year, and petrol at $1.50 per litre (with premium commanding a 10 cents-per-litre surcharge) the Holden will pinch $2472 from your wallet compared with $2112 from the engine-size-twin Skoda. 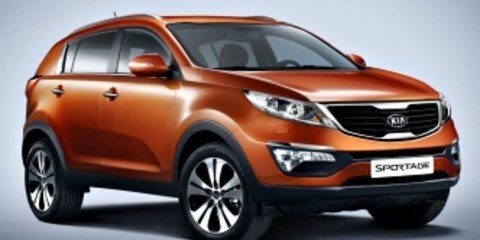 The frugal Peugeot will require $1777, the Nissan $2092, while the Kia nudges the Trax with a $2317 total. There’s more than a few hundred dollars of value in the Kia’s five-year, unlimited kilometre warranty, though, compared with the others’ three year cover – with unlimited kilometre coverage for Skoda and a 100,000km cap for the rest. Capped price servicing is included for all five brands, with annual check-ups required by all. The Qashqai differs to the others by needing a dealer check if 10,000km comes up before 12 months, compared with 15,000km cover for the others. To three years, therefore, the Nissan will cost $693, but with 10,000km (instead of 15,000km) annual intervals you will have only completed 30,000km. If you do 40,000km first the Qashqai will need another service, totalling $1095 all up. Even so, that’s not the most here, with the Peugeot asking $1107 to three years or 45,000km, and the Kia ($1091) and Skoda ($1071) not far behind. Mostly offsetting its fuel expense, to the same period the Holden requires just three $185 services for a breezy $555 total. We are genuinely excited to find that there are now five good-to-great options in the small SUV class, all for less than $30,000. If you need to maximise space, the Kia Sportage is solid, although in this company it lacks intelligent packaging, some clever features and driving finesse. By contrast, the Peugeot 2008 is superbly packaged, and such an enjoyable little jigger to drive that it could just be the best crossover – mixing SUV space with hatchback fun. What was yesterday’s first place is today’s fourth, though, primarily because the four-speed automatic further emphasises the refinement shortfalls. In a similar way, the Skoda Yeti takes bronze … in this specification. The cheaper 1.2-litre Yeti rides more smoothly, while the DSG is too lurchy for comfortable urban driving. While the interior is superbly packaged when the rear seats aren’t in use, the boot is tiny when they are. However, of all the SUV models here, our testers including myself would take home a 2008 and Yeti with manual transmissions, the Skoda in its cheaper guise. That’s to take nothing away from the Holden Trax and Nissan Qashqai, though. They are the most family friendly yet also fun to drive. Ultimately, the extra maturity, ride comfort and larger boot in the Nissan help it take the win, but if your crew is just a little bit smaller and you want more kit, pep and tech in your small SUV, then go make Trax number one. Photography by Nathan Duff. Click the ‘Photos’ tab above for more photos.